Looking for a Used Cube in your area? CarGurus has 443 nationwide Cube listings starting at $1,750. Introduced in 2009 and incrementally upgraded every year since, the quirky new wagon on the block finally achieves a certain level of perfection for 2013, arriving unchanged over 2012 with a well-established fanbase happily inventing mantras for their beloved Cube. 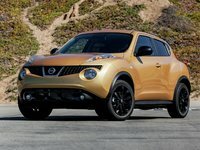 Where other makers decided round would be the shape to captivate the hearts of a generation, again, Nissan went in the completely opposite direction and birthed an unexpectedly large litter with its bulldog-inspired cubist style attracting the young-in-body and young-at-heart alike. Aside from its distinct style and fun design quirks like a side-hinged cargo door, drivers also flock to the Cube for the level of comfort it offers, especially to the big and tall, and its excellent fuel economy, provided you know the tricks to getting it. Drivers agree the Cube is fun to drive, but their idea of what's fun isn't exactly the industry-standard definition you'll find in professional reviews. Magazines criticize the Cube's "sluggish" 9.7-second arrival at 60 mph, and drivers do notice the 122 hp and 127 lb-ft of torque from the 1.8-liter 4-cylinder don't exactly glue you to the seat, but 10 seconds is the norm for subcompact cars like the Cube, and drivers have no complaints aside from a good bit of body roll due to a smooth suspension and tall structure. As a result the Cube lacks the sporting ride professional reviewers would typically call "fun to drive"—but drivers universally agree this is the car they love even above so-called "fun-to-drive" cars like the Mustang GT. So what gives? Zippy small-car handling and interesting style, mainly, but as one driver put it, if it fits you, buy it. Aside from the rarity of a small-but-big deceiver like the Cube offering room for adults no matter where they sit (thanks to a reclining and adjustable rear bench that moves forward and back), the Cube goes a step above—literally—in offering room for the unusually tall driver and passengers without neglecting comfort or visibility for unusually short drivers. The ride is quiet until you get over 70 mph and the wind noise really starts kicking in, but otherwise the Cube is no better or worse than your average Nissan sedan. It's just really interesting inside and out with a few rare innovations that make the right driver swoon. Next to that, the slightly less fanatic fans love their Cube for its fuel economy and utility. 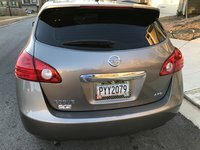 Although the advertised rate is a subcompact sub-par 27 mpg city/31 highway with the continuously variable transmission (CVT) or 25/30 with the 6-speed manual, many long-term drivers say that improves by as much as 10 mpg on its own after the 8,000-mile maintenance. One very fuel-economy-minded driver even manages to get up to 42 mpg highway using synthetic oil, 9.9-pound tires, 350 Z spacers on all 4 wheels and cruise control set to 59 mph. Rear cargo amounts to an 11.4 cubic-foot storage well until the 60/40-split seats are folded mostly flat to expose 58 cubes above a slightly angled open floorspace drivers find very useful for its height. That awesome potential fuel economy is best achieved with the CVT optional for the S and standard in the top-shelf SL. The S comes with notable features like rear privacy glass, keyless entry and a CD-playing 2-speaker sound system with some premium touches over the base of previous years like upgraded cloth upholstery, front armrests, a leather-wrapped steering wheel, cruise control, Bluetooth connectivity and a 6-speaker sound system with USB/iPod interface. Springing for the top-of-the-line SL nets 16-inch alloy wheels, automatic headlights, keyless ignition/entry and automatic climate control. What's your take on the 2013 Nissan Cube? 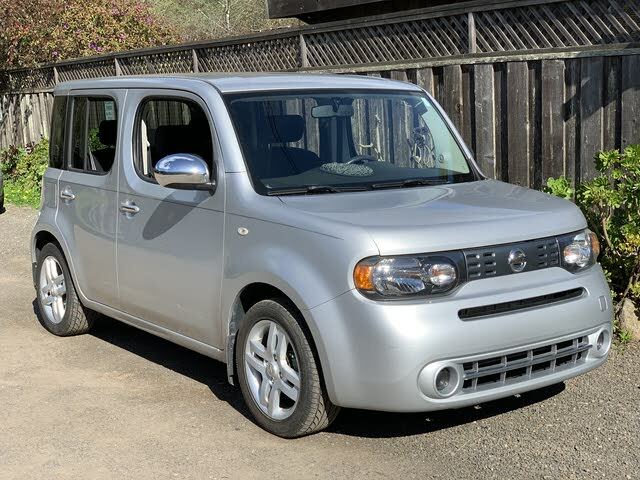 Have you driven a 2013 Nissan Cube?